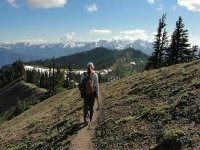 This guide to Washington State attractions will cover all of the State's most famous recreation areas. A brief summary of each follows. Click the active links for more details. Cape Disappointment State Park is an historic site, which includes the Lewis and Clark Interpretive Center and Fort Canby, plus the oldest lighthouse in Washington State. 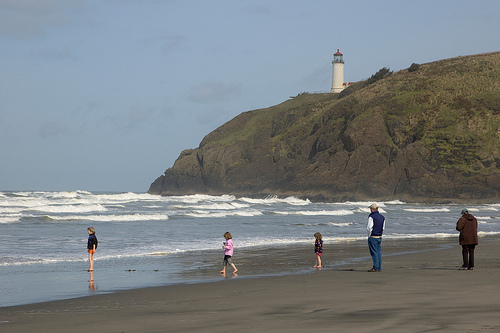 See our dedicated Cape Disappointment page for more. 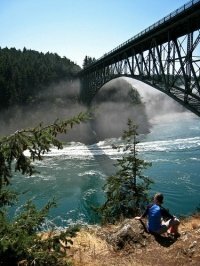 A paradise for hikers, Deception Pass is one of the most striking Washington State attractions. It offers an incredible view of the Whidbey and Fidalgo islands from its bridge, catamaran tours and the Civilian Conservation Corps Interpretive Center. The National Wildlife Refuge at Dungeness is a must-see if you're in the area. The refuge includes the stunning New Dungeness light station, and a natural sand spit which is one of only a few such geographical features in the world. Fort Casey State Park features preserved fortifications, including the only two 10" disappearing guns believed to remain in existence. Inside Ebey's Landing National Historical Reserve, Fort Ebey State Park on Whidbey Island is a superb camping location in spectacular surroundings. For those seeking culture and history, Fort Worden State Park has plenty to offer. 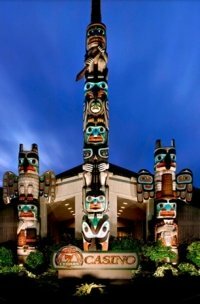 With multiple historical buildings, museums and maritime centers, you could spend an entire day or more here. Located near the town of Grayland, Grayland Beach State Park is another superb choice of location for campers. Located on a windy coastline, it's the top place to fly kites on the Washington coastline. Located near to Bellingham, Larrabee State Park, with its miles of non-motorized trails, is a brilliant choice of location for hikers and horse riders. Sun seekers should consider Oak Harbor as a potential destination. It's got plenty to offer the family and enjoys an unusually sun-kissed climate in what locals call the "sun shadow". 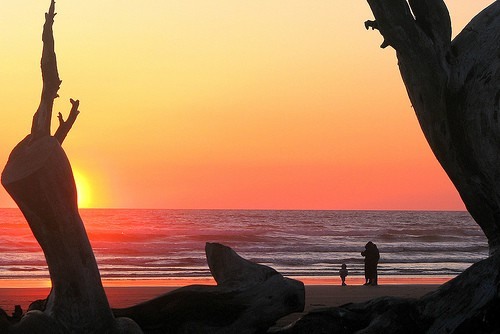 Located near the city of Ocean Shores, Ocean City State Park is a great spot for camping. You can also scuba dive off the beach. Lovers of the sea will adore Pacific Beach State Park. Here, you can enjoy some of the region's best surfing, as well as clamming and kayaking. Camping spots are available. 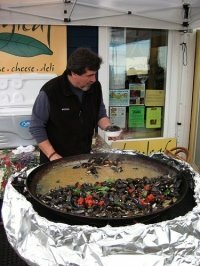 See our Pacific Beach, Washington page for more information. Within easy reach of Port Angeles, Salt Creek Recreation Area is a beautiful, 200-acre Washington State attraction that's popular with campers. Famous for its naturally-occurring and rugged spit, Semiahmoo County Park also offers a museum of fishing and canning, and is a great location for birders. Sequim Bay State Park is a marine campsite with plenty of facilities for visitors. You can scuba dive off the beaches, and the park is in easy reach of the town of Sequim, Port Angeles and the Olympic National Park. 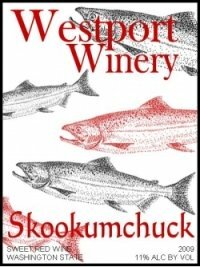 More on Sequim, Washington can be found here.